Up until now finding the balance between extreme comfort and quality stereo sound has been near impossible. You may find that absolute comfort you’ve been searching for but you can barely hear any audio. On the other hand, you may come across wonderful sounding stereo headphones but can only listen for shortened periods of time due to discomfort. Look no further! Accessory Genie has broken this barrier down and created headphones that not only provide comfort for prolonged listening but great acoustic stereo sound. Never sacrifice the quality of your music for lack of comfort again! Named the GOgroove BlueVIBE RLX, these headphones provide true therapy for your ears. Use the coupon code ‘LISTENRLX’ between March 10th and March 17th and receive a special price of $24.99 for each pair of headphones! That’s definitely a comfortable deal. 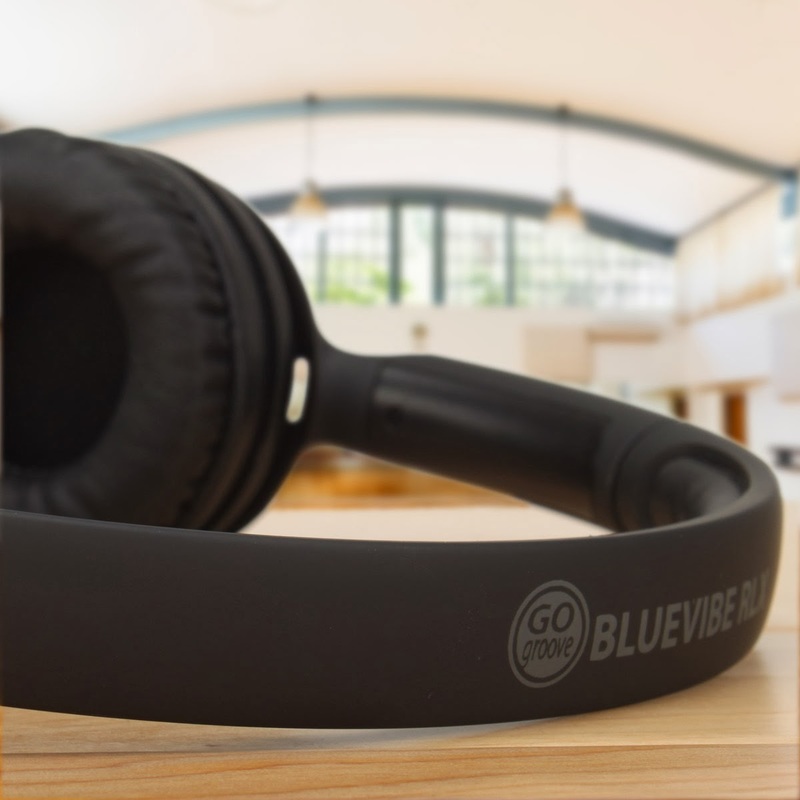 The BlueVIBE RLX Wireless ComfortFit Bluetooth Headphones offer comfortable, high quality audio playback with virtually any media device equipped with Bluetooth. The Bluetooth connection works up to 33 feet away so you never have to worry about fidgeting with wires. The BlueVIBE RLX is designed to pamper your senses with fantastic sound and an even better feel. Powerful 40mm drivers offer crisp and clear audio playback, so whether you’re listening to your favorite band or watching the latest blockbuster, you’ll always have exceptional sound. Additionally, the RLX is equipped with onboard playback controls and an integrated microphone so you can control your music and take calls directly from the headset. The BlueVIBE RLX is built to be the ergonomic companion for your ears. They are equipped with plush earcup cushions and a padded adjustable headband so everyone can enjoy a great fit. In addition to being extremely comfy, the RLX feature a unique angled earcup design that acts as an acoustic seal for your ears. The comfortable noise-isolation design lets you focus on the sounds you want to hear while blocking out the noise you don’t want in. To complement the feel-good construction, the headphones also come with a built-in rechargeable battery that lasts up to 8 hours, so you can enjoy your audio as long as you like before needing to recharge. Did I also mention how comfortable these headphones are? Remember to use the discount code ‘LISTENRLX’ at checkout to get the special discount price of $24.99! As with all GOgroove products, the BlueVIBE RLX is backed by a 3-Year Manufacturer’s Warranty.